Special Drive of House to House visit by BLOs is extended up to 15th December 2017. 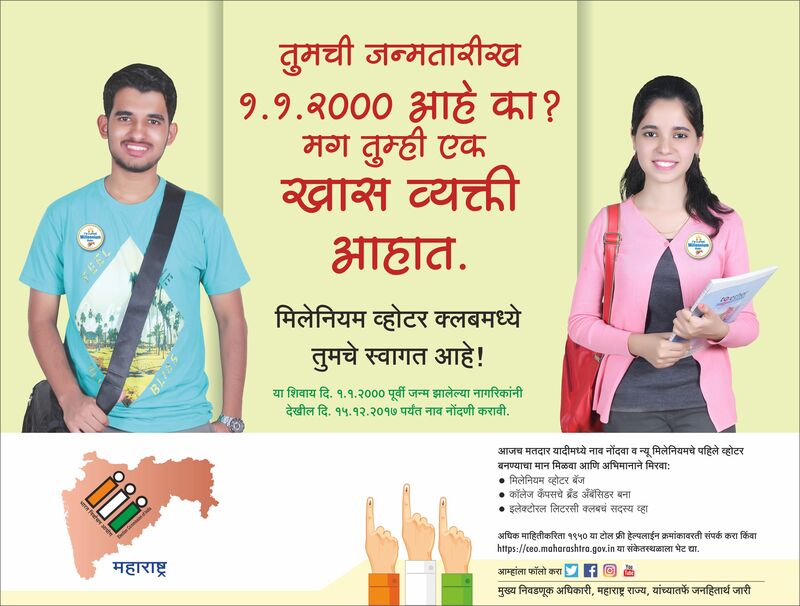 Claim for inclusion of name in the electoral roll for a Graduates' Constituency "Form 18 Marathi" "Form 18 English"
Claim for inclusion of name in the electoral roll for a Teachers' Constituency "Form 19 Marathi" "Form 19 English"
Schedule for bye-election to fill casual vacancy in the 130-Palghar of Maharashtra Legislative Assemblies. 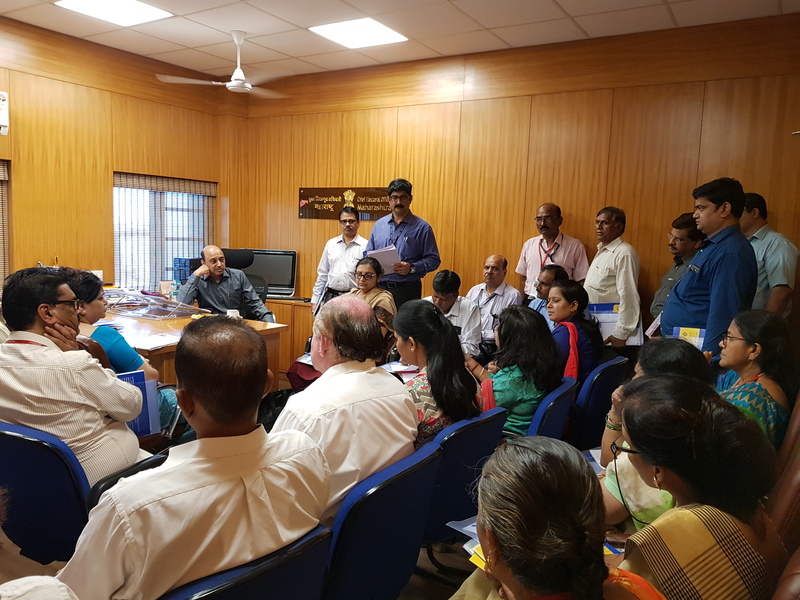 Schedule of Revision of Electoral Roll for Amravati & Nashik Division Graduates' Constituencies and Aurangabad,Konkan & Nagpur Division Teachers' Constituencies.